Celtic manager Brendan Rodgers is a surprise managerial target for Aston Villa. Having fired coach Steve Bruce just last week, the Villans are on the look out for a replacement as soon as possible and after a dip in form at the Scottish club several news outlets have linked Rodgers with a move back to England. Former Liverpool coach Rodgers has always hinted that he would like a move back south fo the border but is happy at Celtic for the time being. However, with talks with Thierry Henry reportedly reaching a standstill this week, Aston Villa are now pursuing other targets and Rodgers appears to be the club's preference. 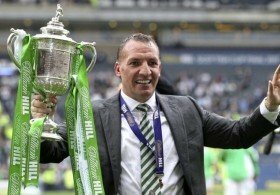 Rodgers has helped guide Celtic to success and silverware in recent seasons and is still popular in England and widely considered one of the best up and coming managers in the United Kingdom. However it is believed that Rodgers does not want to drop down to the Championship unless he is guaranteed a £50 million blank cheque to rebuild Aston Villa's squad ahead of the January transfer window.